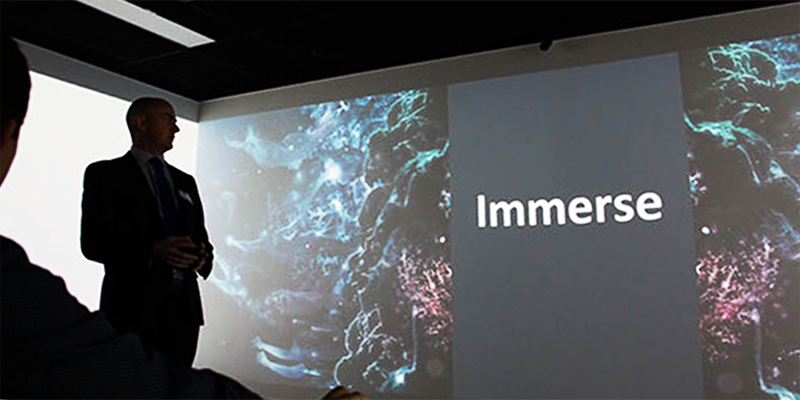 The Immerse studio enables our partners, community, researchers and students to have new experiences of learning, research and engagement. 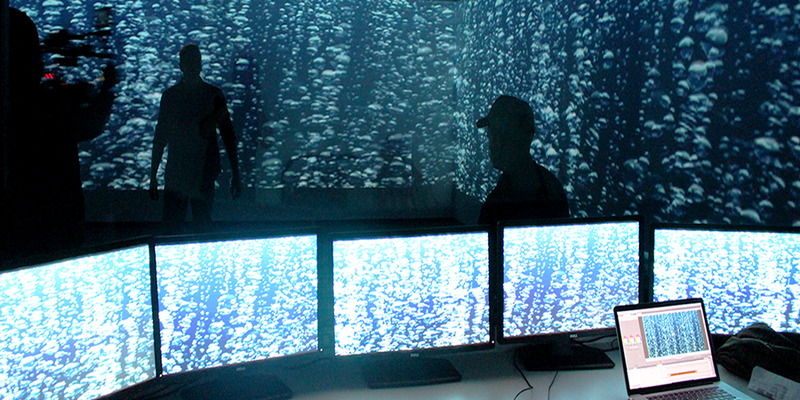 We are currently developing immersive experiences such as coastal flooding, neurological pathways, digital art installations, and innovative gaming mechanics, for individual and shared exploration and learning. Immerse is a three wall projection room with total projection area of 19.4m by 2.25m and 10,548 by 1,200 pixels, and 7.1 surround sound. The fourth wall contains one way glass into an observation and control room. Around 25 people can use the Immerse studio at one time, and a further 10 in the observation room. 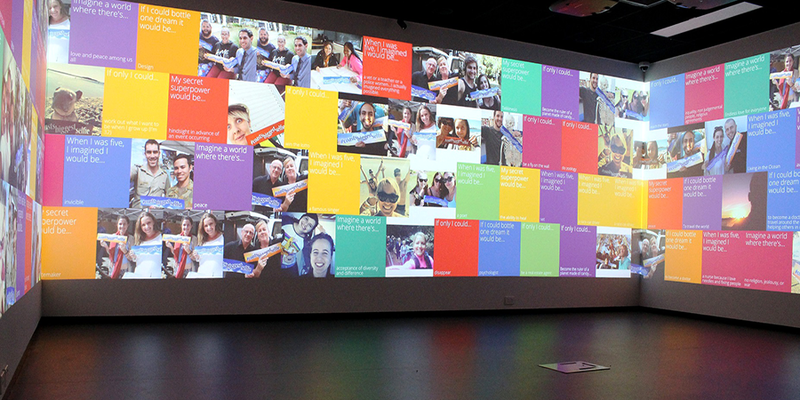 Immerse is for use by external partners of the University as well as our staff and students. If you would like to experience Immerse and discuss ways to use the studio, please contact Associate Professor Christian Jones.